In the rush to optimize your business’ social media presence, it can be easy to trip up. Being overeager and diving in without a proper understanding of the unique nature of social media platforms could set you up for a number of pitfalls. Keep these common errors in mind as you devise and implement a social media strategy in order to be better poised to reap the rewards effective marketing can bring. Facebook, Pinterest, Twitter, Google+, Tumblr, Reddit, Instagram, and much more make up the social media landscape. When starting out in social media optimization, it’s easy to fall into the trap of trying to push your business on as many platforms as possible. On the surface, it seems easy to manage this many: toss out links to new website content, a few plugs, maybe a silly picture or two, and you’re set, right? Unfortunately, not so much. Every social media site has its own style and practices, so getting good results on one won’t necessarily work on the other. By casting your net too broadly you can end up with a great deal of shallow content rather than one or two focused social media pages with strong content and presence. Branching out is fine, but do so gradually after you have properly assessed your strategy. This may seem odd, since the whole point of social media optimization is to promote your business, but it’s true. This is because of the social element. Sites like Twitter and Facebook are a chance for customers to interact with businesses like they’re people, not logos. Constant self-promotion gets annoying and boring fast, so you need to strike a proper balance to maintain interest. A good example of what to do is to post interesting articles or news reports that may be of relevance to your audience. Be wary when you use hashtags. Make sure to use only the most relevant or important ones, even if it seems like more might apply. Excessive or inappropriate hashtag use is annoying and will turn people away. Precision is often your best tool in these instances. Also, if a new hashtag starts trending, make sure to look into it before joining in. In 2014, DiGiorno pizza stuck their foot in their mouth when they tweeted: “#WhyIStayed You had pizza.” Unfortunately for them, the #WhyIStayed hashtag was about domestic violence and women talking about why they remained in abusive relationships. This is a somewhat extreme example, but the underlying principle is the same: do your homework. Typos happen. Spelling mistakes happen. Embarrassing grammatical errors happen. Autocorrect will betray you. While an occasional lapse is fine, repeated proofreading failures will add up and seriously harm your credibility and reduce your presence. Take the time to have an editor or copywriter go over your content before posting and make sure everything checks out. It will save you embarrassment in the long run. There is a careful balance that needs to be struck when engaging in social media. Too much of anything is always a problem, and the same goes for your content. If your audience is inundated with alerts or shares, then they could simply blanket-delete your posts, or flag them as spam. Being too enthusiastic about sharing also reduces the quality of your content. Quality writing takes time and there is often only so much that can be discussed. Sharing too much leaves you with thin, borderline repetitive (or sometimes completely repetitive) messages that people will tune out. A successful social media presence takes time, effort, and most of all planning. This is not a “if you build it, they will come” scenario. Properly targeting and attracting your desired audience needs a social media strategy that can’t be thought up on the fly or done haphazardly. The ‘voice’ of your page, the primary goals and measurements of your plan, general policy, and content schedule are all integral elements that should be established in advance in order to get the most out of your social media optimization. There are businesses available that will, for a small fee, provide your social media accounts with a large number of followers. This can be tempting since it’s easy to believe that more followers equals more credibility. In practice, it doesn’t work out that way. Purchased followers are nothing more than dummy accounts. They won’t share links, repost your content, respond to your social media posts, become future customers, or do anything else except raise one little number on your page. Fake followers have at best, no impact on your ROI and at worst will be a wasteful expense. Social media is a two-way street. People can talk to your business just as much as your business can try to talk to them. Your posts may attract comments, questions, or even criticism, and it’s important to have a habit of responding to them. While it isn’t expected that you reply to every comment left on your posts, it’s important to make it clear to your audience that they are being heard. This helps build trust, confidence, and overall reliability. 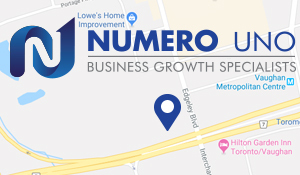 Numero Uno Web Solutions is a provider of search engine optimization (SEO) and Social Media Optimization (SMO) solutions to startup businesses and small companies from all industries and fields. We know exactly what we need to do—and what not to do—for our clients to get the best SEO and SMO possible. Click here to learn more about content marketing techniques and how we can help improve your search and social media profile.